Six tickets to a Phillies game. Imagine you and your whole family and even a couple of friends all together on a wonderful day at Citizen Bank Park. 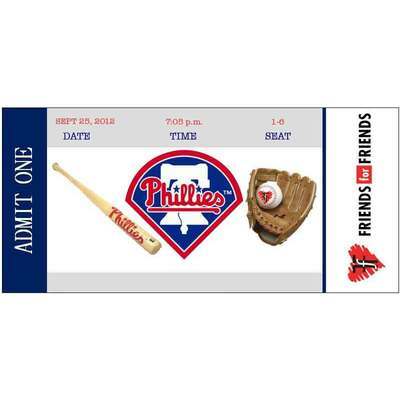 Not only will you be enjoying a great Phillies game with the people you love the most, but you will be supporting a worthy cause! Tickets will be provided upon announcement of winner.